Most have seen the Portrait entitled, “A dogwood legend!” – In Jesus time the dogwood grew to a stubby size and a lovely hue…. thus strong and firm as oak branches are interwoven. For the cross of Jesus Christ, its timbers were chosen…. Seeing the distress of this use of their wood Christ made a promise which still stands good: Never again shall thy dogwood grow large enough to be used so. It shall slender and twisted be…. with blossoms like the cross for all to see. As blood stains, the petals marked in brown…The blossom centers shall wear a thorny crown. All who see it will remember me….Crucified on a cross from the dogwood tree. Cherished and protected this tree shall be a reminder to all of my agony! There wasn’t a Dogwood tree blooming in site. But with the time moving up an hour on the day we visited the Dogwood Chapel Church of Christ in Christian Union can Spring be far behind! The church is located off Dogwood Ridge on Charlevoix Avenue, Wheelersburg . Now that you know where it is, take your family there and you might well find the church you have been seeking. The well-loved Pastor Adam Satterfield, as I understand had a seasonal illness and unfortunately, therefore, we didn’t get to meet him! Being a good Shepherd he left the day’s service in the capable hands of his brother Aaron Satterfield. Someone told me they look just alike and are both great preachers. Aaron is a full-time preacher in the Peebles area! Beverly Wright led a beautiful song service. She has a long history with this church. 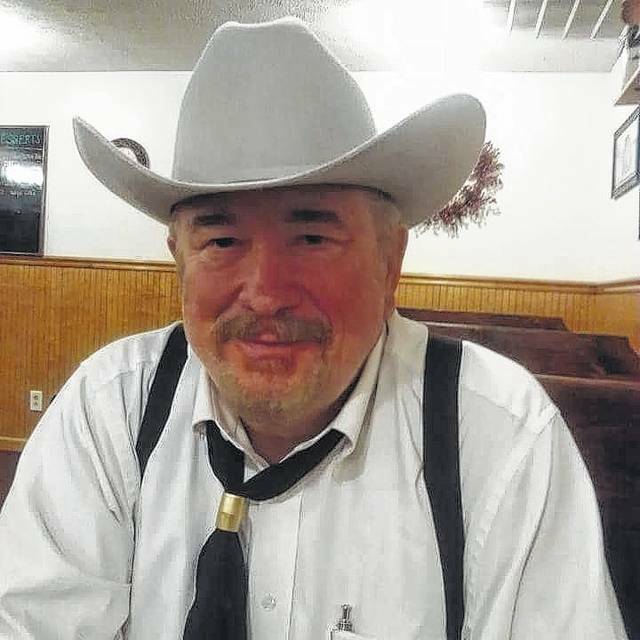 Her husband having gone to be with the Lord, Michael Wright was a 40 year ordained Minister and served this church about 20 years as Pastor. Several of the songs were old familiar hymns! Included were “Sweet by and by and Are you washed by the blood of the Lamb!” The latter goes like this, “Have you been to Jesus for the cleansing power? Are you washed in the blood of the Lamb? Are you fully trusting in his Grace this hour? Are you washed in the blood of the Lamb? Piano player for the church on this day was Stephanie McQuithy. Kateline Satterfield, daughter of Pastor Adam led a beautifully signed song in a very special part of the service. His wife Bethany led a closing prayer in his absence. Pastor Aaron opened the service saying, “Be Holy as I am Holy, saith the Lord!” He expressed joy for all being here this day. He suggested that all have so many things to pray about asking each to pray for loved ones not here today. He said that we should pray for our country and churches across this land. He said that if we pray for people the Lord does his job. Through the power of prayer! At one point the Pastor introduced Kids Power! It was explained that the children take up an offering that goes to support missionaries coming home on furlough during their service in countries served by the church and the Church of Christ in Christian Union Conference. Four or five children walked around the congregation holding out their cans. Many made the effort to put a little something in each of their cans. We love to see children in church! It was a lovely springlike day in which we attended the Dogwood Chapel Church of Christ in Christian Union church! Drop by and see them. Tell them the Ruckers and Neffs sent ya! As believers, let us share the good news of Jesus Christ as Savior of the World! Each one, reach one! See ya in church!